Shafikov vs Zamora May 31 in Ufa? It´s rumored but not confirmed that EBU jr welter champ Dennis Shafikov´s defence against mandatory challenger Brunet Zamora will og ahead in Ufa, Bashkiria in southeastern Russia. Shafikov´s promoter P 3 Boxing won purse bids last week in Rome and will stage the event with a local partner. 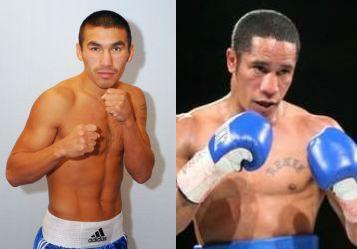 Shafikov, 28-0-1, vs Zamora, 21-0-2, is an exellent matchup and effectively also an eliminator for a world title. The two drew in 2010 and Zamora comes off a draw in a fight for the interim WBA title.